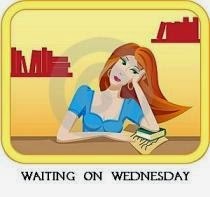 Waiting on Wednesday is a weekly book meme hosted by Breaking the Spine in which bloggers post about an upcoming book they’re eagerly waiting for. I’ve been eagerly anticipating Ashley Weaver’s Murder at the Brightwell, which sounds like the most delicious murder mystery ever, a beautiful cocktail of romance, 30’s beachy glamour, and murder, but since it came out yesterday (I have already requested it at the library), it would be cheating to include it. So I’ll go with my other choice, the second book in Brian Stavely’s Chronicles of the Unhewn Throne, The Providence of Fire. 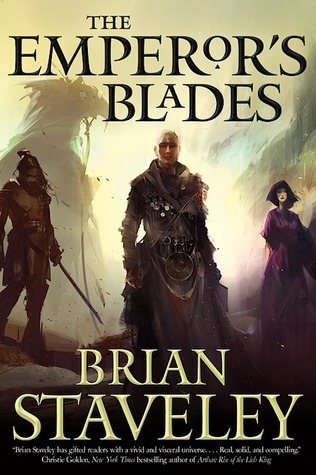 The first book in the Unhewn Series, The Emperor’s Blades, was rich, fast-paced, and immensely satisfying – it did a brilliant job of laying out three, strong personalities and their very different worlds, and then culminating them at the end. It was largely the tale of hot-headed yet brilliant Valyn, the emperor’s son who has been in training his whole life as one of the Emperor’s Blades, warrior-assassins who are put through years of intensive, regimented training in all kinds of weaponry as well as stealth tactics, survival, etc. Valyn is already a gifted, deadly force at the beginning of the novel, and only grows as it goes on, also stepping for the first time into a leadership position he’ll have to learn how to exercise. A world away, his brother Kaden, the heir to the throne, is a pupil at a remote monastery where he learns what seems to him esoteric and useless skills – which might one day save his life. Meanwhile, their fiery sister Adare handles politics in the capital in the wake of their father the Emperor’s untimely death, which opens the series. The first half is rather low-key and involves a lot of character history and build-up, but it switches notes entirely and changes to a tense, nail-biting series of events in the second half. It’s a dense world with solid mythology, but easy-to-read, gripping prose, and it ends with a bunch of highly-trained outcasts setting out to save the world. Also themes of brotherhood and reluctant personal growth. LOVED. Any fans of Brandon Sanderson will really enjoy this. The Providence of Fire, the sequel in what’s projected to be a trilogy, comes out in early 2015. In it, Adare has learned the truth behind their father’s death and rallied an army that starts a civil war – a war in which Valyn finds himself part of an invading force against her, while Kaden is caught between them as he pursues the truth about their universe. I fully expect it to be very satisfying.